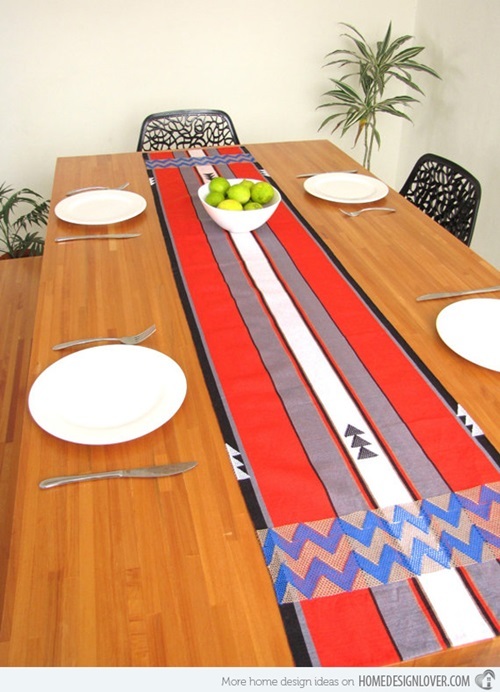 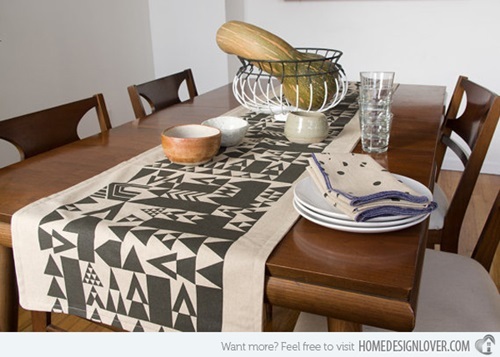 The table runner adds a unique charm and elegance to any rectangular dining table, end table or dresser in your modern or traditional home. 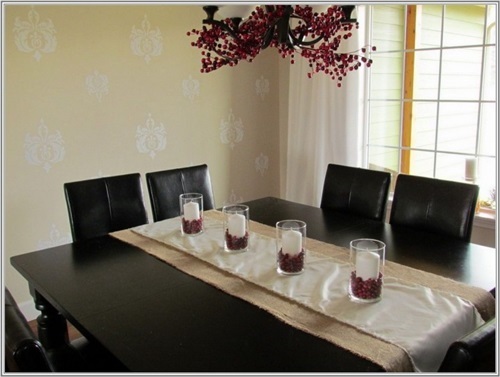 Such runners are available with different colors, designs, and sizes to complement different table styles and room decor. 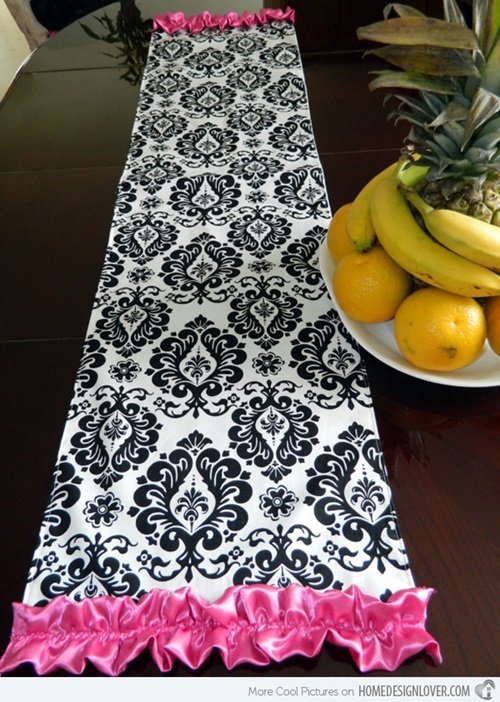 It will be a great idea to use a special table runner for every occasion, as they can completely change the look of the room. 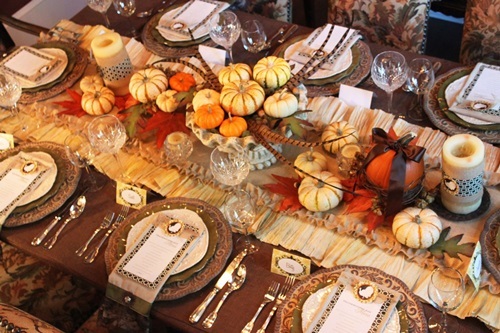 The fabric of the runner will reflect your elegance and respect for your guests; so, try to make the runner blend with the theme of the occasion. 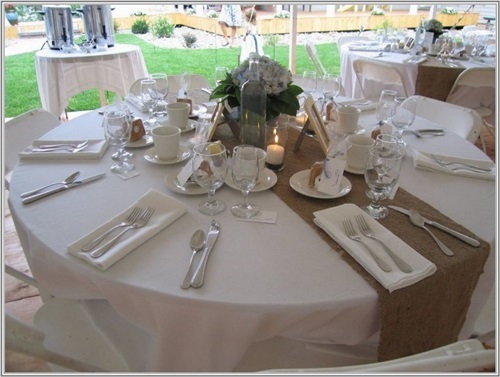 You can choose from a wide range of fabrics such as polyester, silk, stain, cotton, and organza in addition to the blended fabrics. 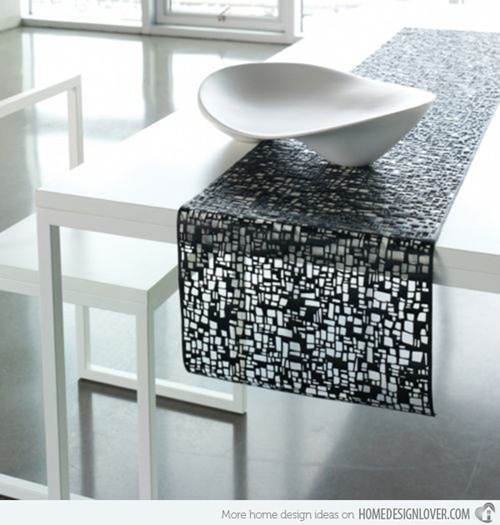 These fabrics usually have smooth and shiny textures; consequently, they will be perfect in the formal occasions with glass or lacquered wooden tables. 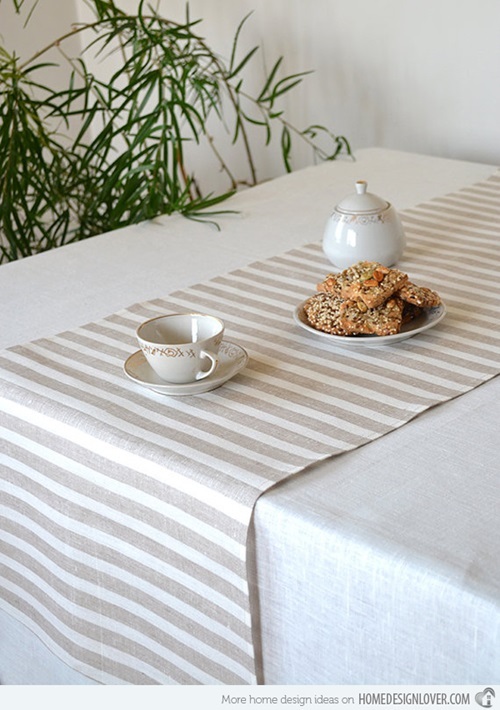 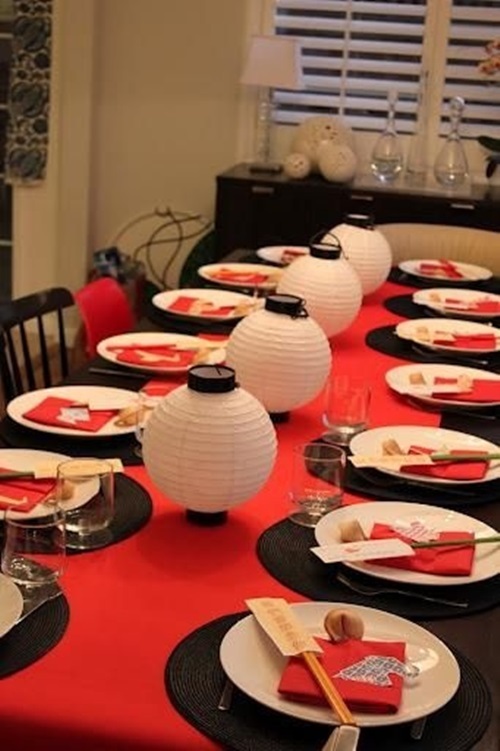 Contrarily, the natural or dense fabrics like grass cloth, bamboo, and twill will be perfect in the informal occasions on a metal, ceramic, or stone table. 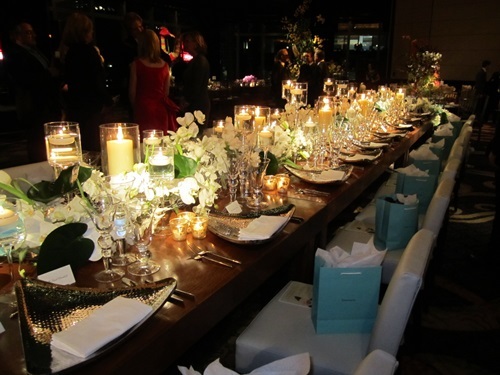 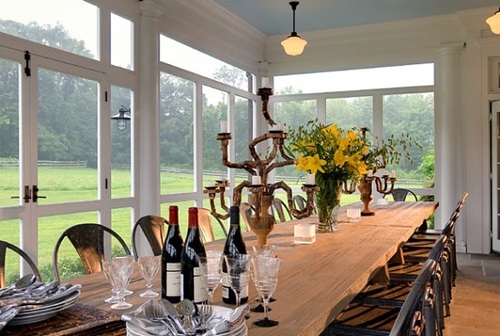 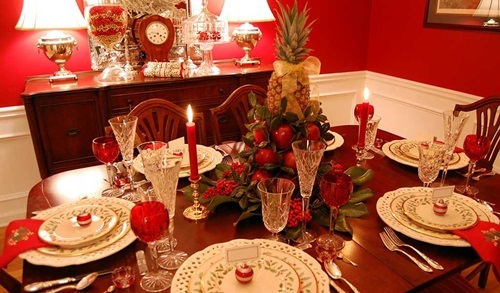 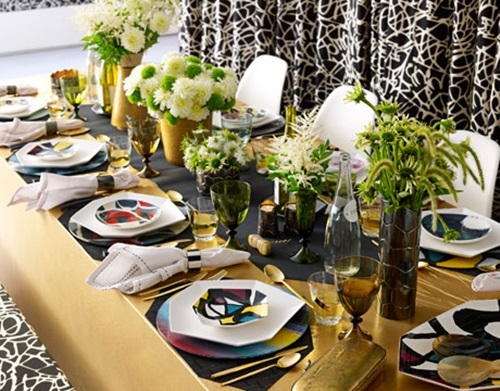 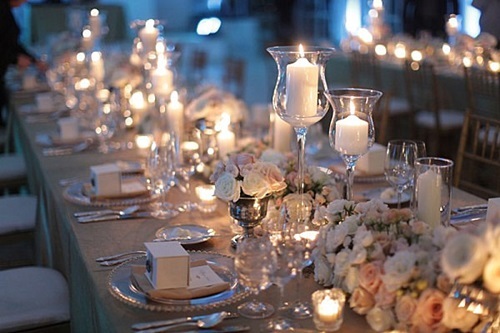 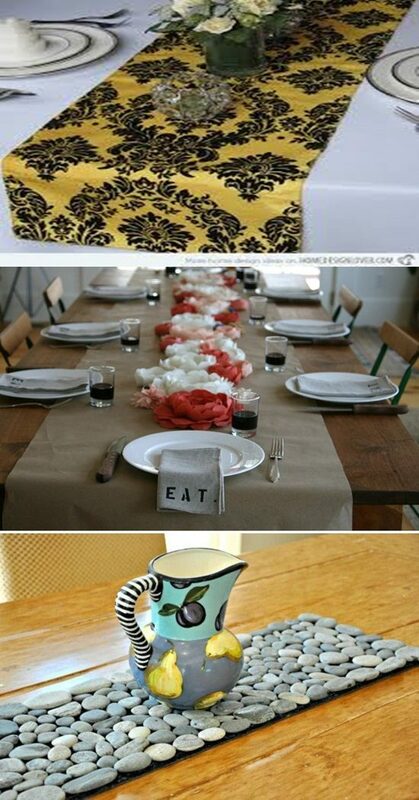 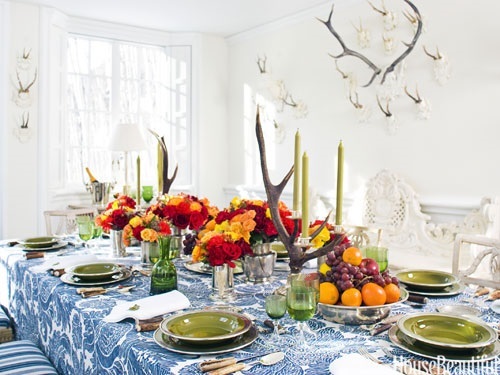 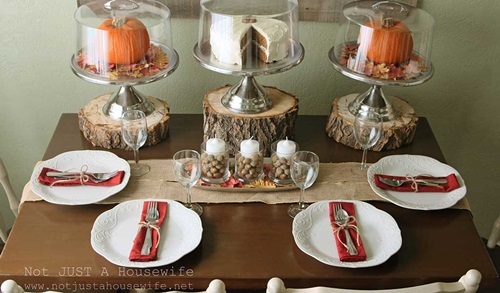 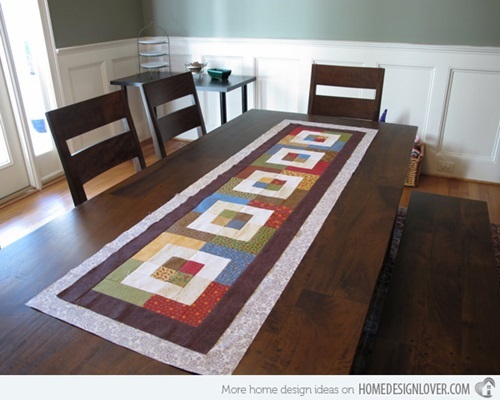 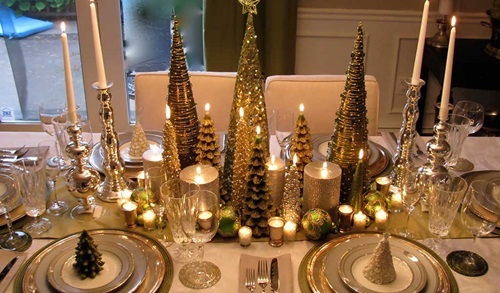 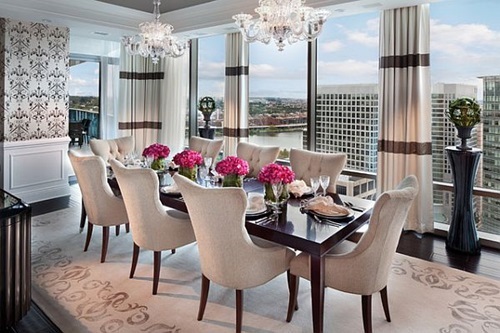 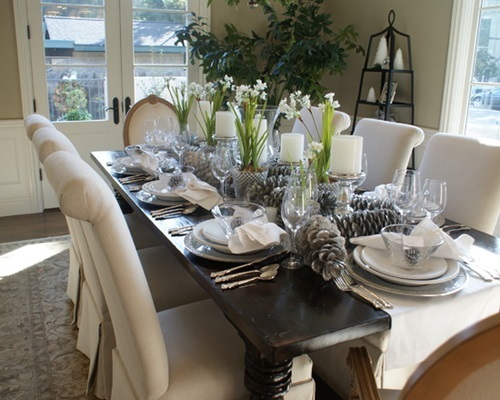 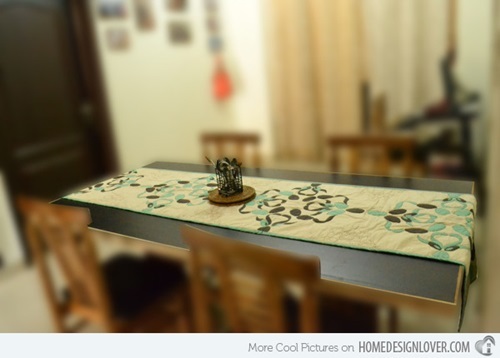 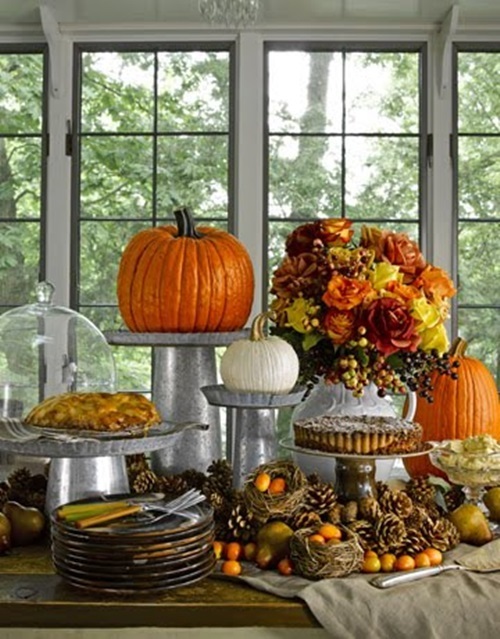 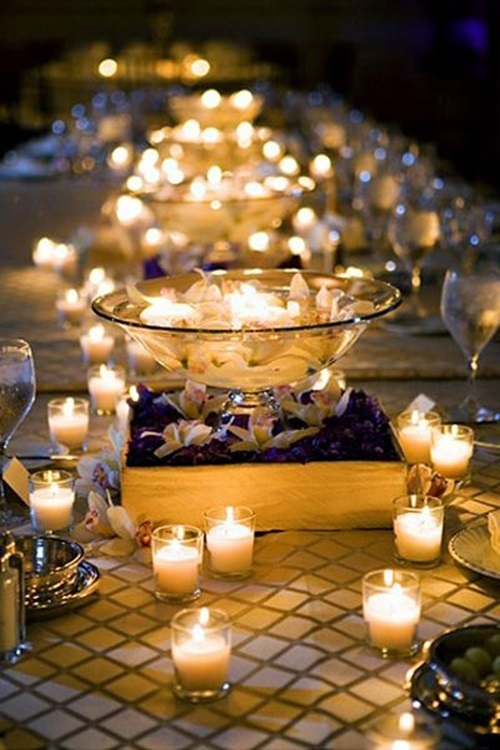 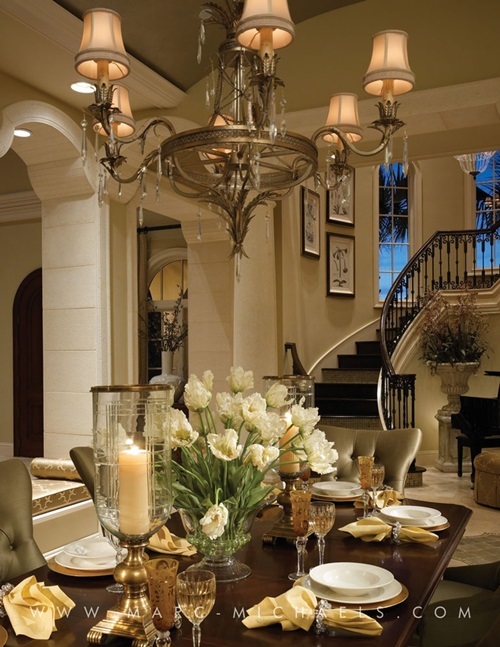 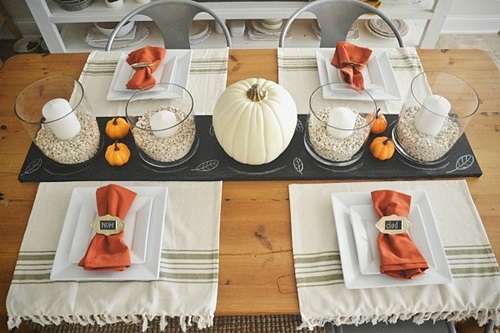 In your traditional home, you can place one runner along the middle of your rectangular table or several runners across the width of the table with or without a tablecloth on a daily basis or according to the occasion you will hold.The table runner is usually longer than the table from 12 to 24 inches to display a luxurious look. 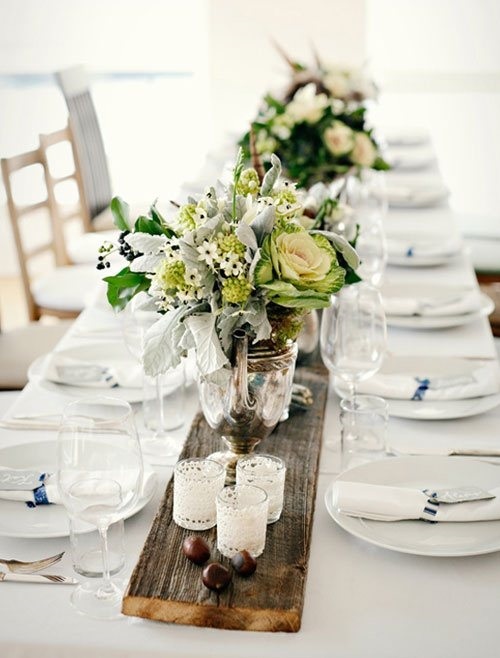 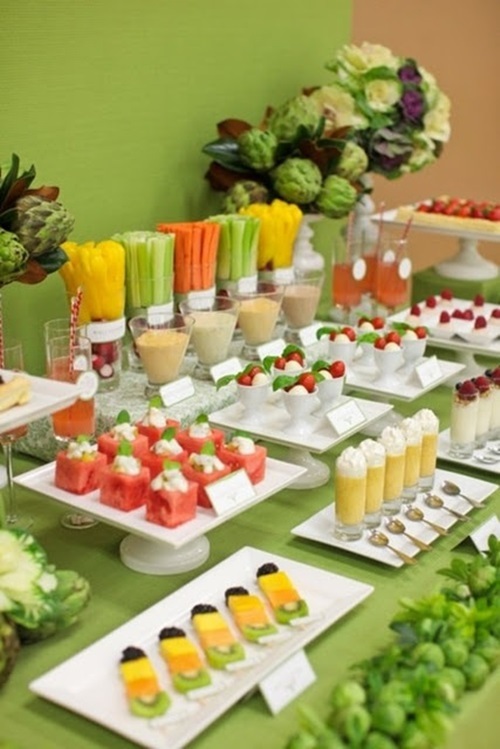 You can use one layer or different layers of runners to create a special celebrative look, especially in the general occasions such as wedding parties. 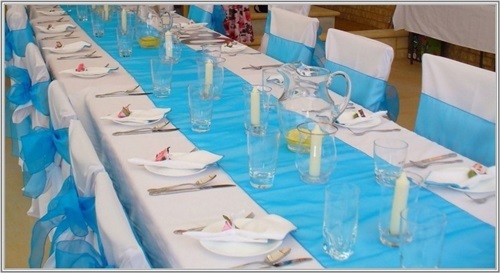 If you will have a small occasion, try to use simple table runners with coordinated colors with the napkins and table accessories. 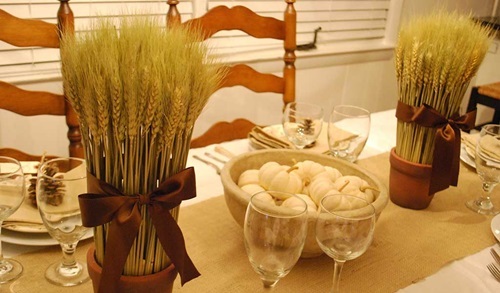 The runner itself can reflect the theme of the occasion, as you can find table runners with incorporated flowers for the wedding parties or runners with golden strips for the formal occasions.